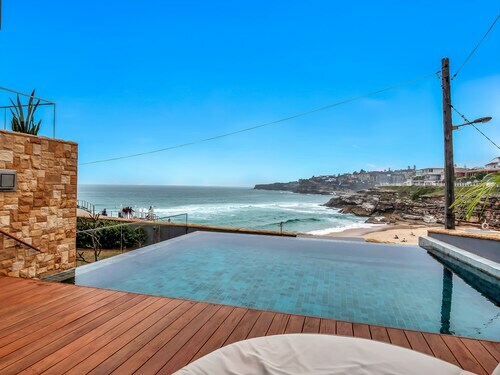 Located in Sydney Eastern Suburbs, this vacation home is within a 10-minute walk of Bronte Beach and Tamarama Beach. Bondi Beach and Clovelly Beach are also within 1 mi (2 km). 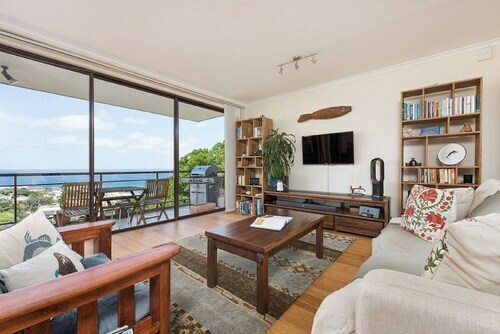 Located in Sydney Eastern Suburbs, this apartment building is within a 10-minute walk of Tamarama Beach and Bronte Beach. 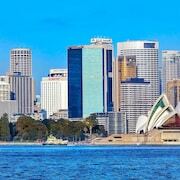 Bondi Beach and Clovelly Beach are also within 2 mi (3 km). Very close to Tamarama and Bondi. 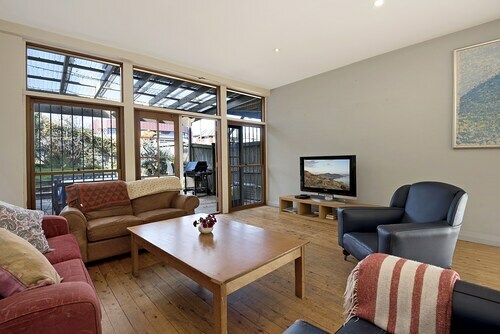 Excellent views and easy access to Bondi Road. 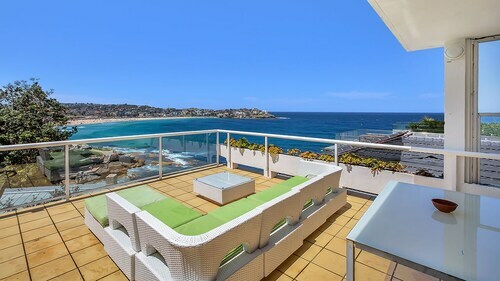 Located in Sydney Eastern Suburbs, this apartment building is within a 10-minute walk of Tamarama Beach and Bronte Beach. Bondi Beach and Clovelly Beach are also within 2 mi (3 km). Bondi Junction Station is 29 minutes by foot. 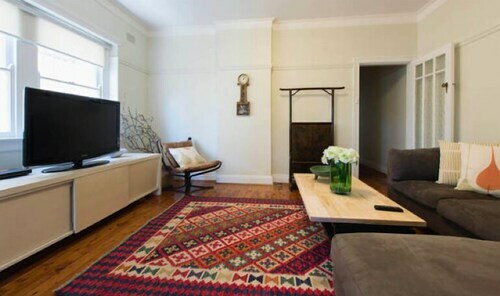 Located in Sydney Eastern Suburbs, this apartment building is within a 10-minute walk of Tamarama Beach and Bondi Beach. Bronte Beach and Clovelly Beach are also within 2 mi (3 km). 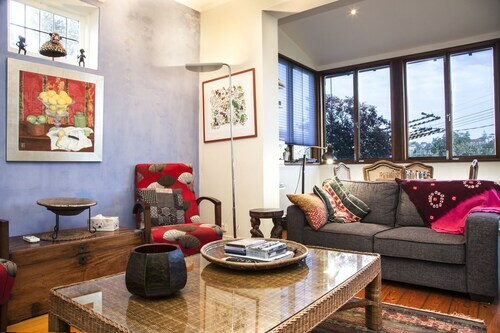 Located in Sydney Eastern Suburbs, this vacation home is within 1 mi (2 km) of Westfield Bondi Junction Shopping Centre, Coogee Beach, and Bronte Beach. Clovelly Beach and Tamarama Beach are also within 1 mi (2 km). Bondi Junction Station is 26 minutes by foot. 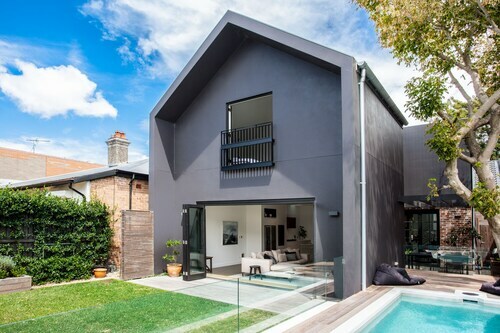 Located in Sydney Eastern Suburbs, this vacation home is within 2 mi (3 km) of Clovelly Beach, Coogee Beach, and Bondi Beach. Bronte Beach and Tamarama Beach are also within 1 mi (2 km). 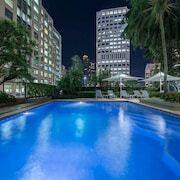 Located in Sydney Eastern Suburbs, this apartment building is within a 5-minute walk of Bondi Icebergs and Bondi Beach. Tamarama Beach and Bronte Beach are also within 1 mi (2 km). 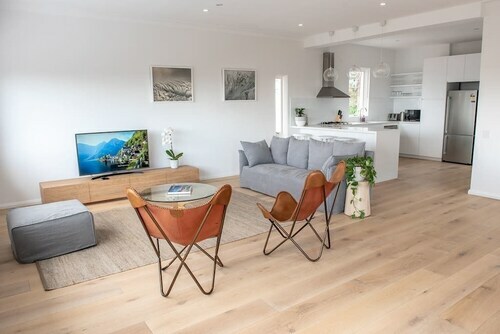 Located in Sydney Eastern Suburbs, this vacation home is within 2 mi (3 km) of Clovelly Beach, Coogee Beach, and Bronte Beach. Bondi Beach and Tamarama Beach are also within 3 mi (5 km). Many visitors travel to Bronte Beach every year. It's to be found in Sydney, the state capital. You'll discover plenty of things to do in this busy city. 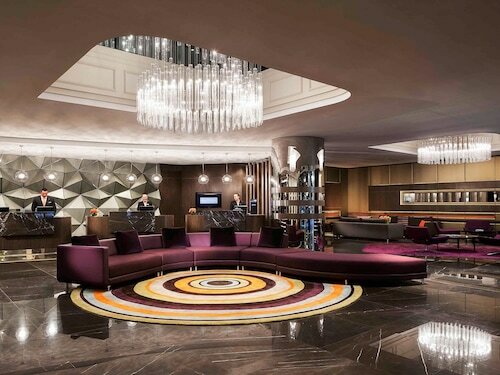 Getting from your hotel to Bronte Beach won't be a challenge if you stay nearby, and you're not short on options. 31 await within 3 kilometres. 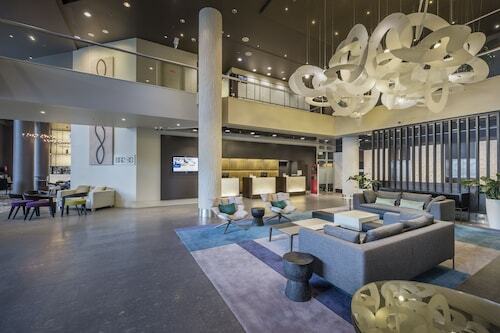 The Adina Apartment Hotel Bondi Beach Sydney (2 kilometres), the Crowne Plaza Coogee Beach (2 kilometres) and the Adina Apartment Hotel Coogee Sydney (2 kilometres) are all favoured choices. Not fussed about five-star service? Select one of the budget places in the vicinity. 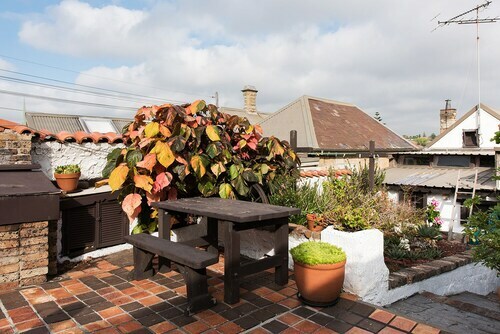 The Coogee Beachside Budget Accommodation - Hostel is just 2 kilometres away, and if that doesn't suit, the Village Bondi Junction is only 2 kilometres away. Or you could stay in one of the several luxury hotels in the surrounding area. Go on, spoil yourself! 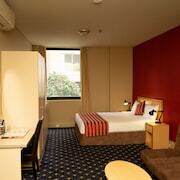 Try the Coogee Bay Hotel - Boutique, 2 kilometres away. 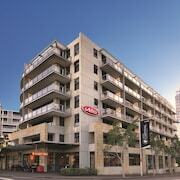 The Coogee Sands Hotel and Apartments, 2 kilometres away, is also recommended. Three Blue Ducks (141-143 Macpherson Street, Bronte) is the ideal place for a strong coffee. Luckily, it's just 0.5 kilometres from Bronte Beach. When the daylight fades and you're in the mood for a couple of cold ones, you can find Stuffed Beaver Dining Parlour only a kilometre away, at 271 Bondi Road, Bondi. There's nothing quite like the serenity of watching seabirds gliding on the breeze. Be sure to go to Tamarama Beach. If you're looking for an activity that's a bit different, take a leisurely stroll around the grounds of Waverley Cemetery. Pack your hat, thongs and towel, and head out to Clovelly Beach for a full day of fun in the sun. Bring your bathers and a pair of goggles to Bondi Icebergs and jump in! Practice your strokes or just relax in the water. If the constant rush of travelling gets too much, you can always take a breather at Gordon's Bay. How Much is a Hotel Room in Bronte Beach? 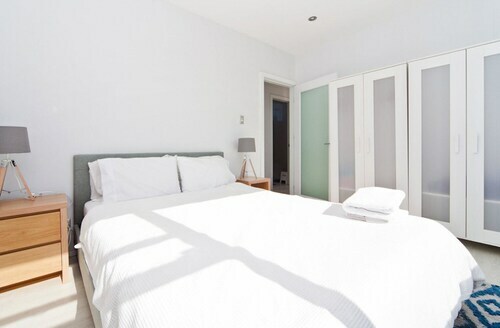 Hotels in Bronte Beach start at AU$79 per night. Prices and availability subject to change. Additional terms may apply. Fabulous view. Staff fantastic and helpful. Great location. Children loved the rooftop pool. 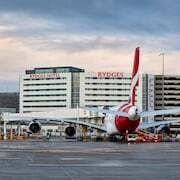 Some problems with the lifts. Long wait. Only 1 working sometimes. Great place to stay. Close to everything and really comfortable room.